Isn’t Fall such a beautiful season. The colors changing, the leaves falling, it really does make for a beautiful time to get out with your toddlers and explore. 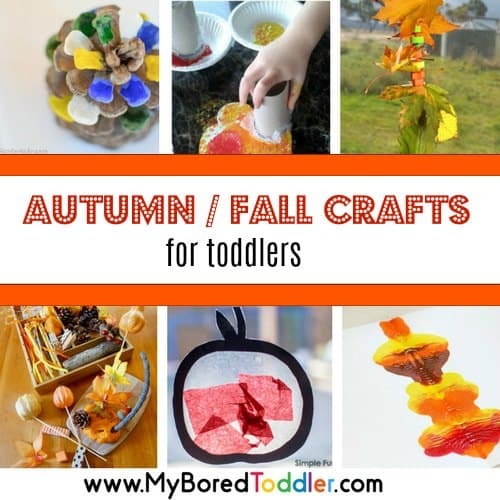 We love to link our activities to the seasons, and I always like to start off a new season with some great toddler books. 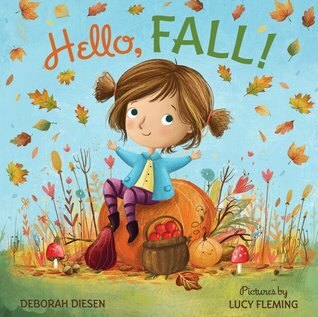 These toddler books about Fall are perfect – I’m sure you’ll love them as much as we do. We really do love reading, and if you haven’t already, make sure you check our list of the 50 Best Books for Toddlers. You can also find some of our favorite books on our Amazon List too. 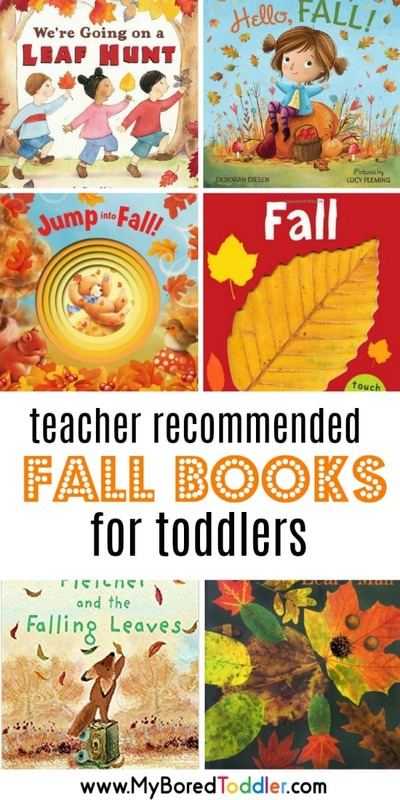 When it comes to choosing Fall books suitable for babies and toddlers, I like to look for a mix of board books and lift the flap books (always a hit!). I also want bright, vibrant pictures that we can discuss and that grabs their attention. I try to keep the stories on the shorter side as their attention span isn’t great, but if you have a longer book, don’t be afraid to skip a lot of the text and focus on asking questions, discussing the pictures, talking about the colors etc. I’ve linked all of these to the books on Amazon to make it easier for you to shop, but don’t forget that your local library is always a great resource too. Most will let your request the books, so if you plan ahead you can have them ready to go! 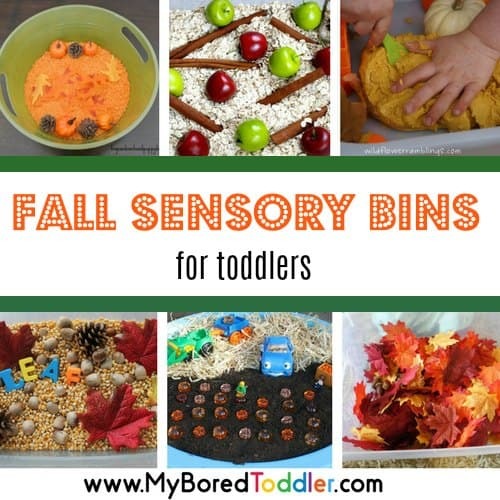 Make sure you look at all of our Fall toddler activities that will go really well with this collection of books. I’ve deliberately kept Halloween books out of this list, as we have separate collection of toddler Halloween books HERE. This is a basic book, perfect for the younger age group. Each page has something to touch and feel which babies and toddlers love! You can get this one HERE on Amazon. If you loved the Pout Pout Fish book, then this lovely picture book from the same author is sure to become a favorite too. The illustrations in this Fall toddler book are stunning and it has a really lovely story to go with it. You can get Hello Fall HERE from Amazon. We’re Going on a Bear Hunt is a classic early learning book – if you haven’t read it yet you must! 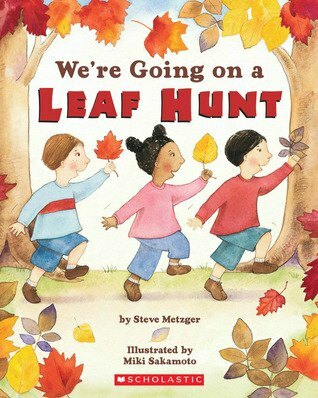 It’s fair to say that the new We’re Going on a Leaf Hunt is just as catchy and just as enjoyable. 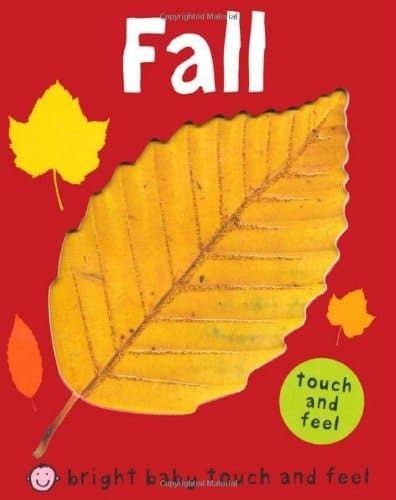 This one is perfect for reading before you go outside and go on a real leaf hunt! Be warned, you’ll have the song in your head the whole way – but that’s part of the fun really 🙂 You can get this book HERE on Amazon. 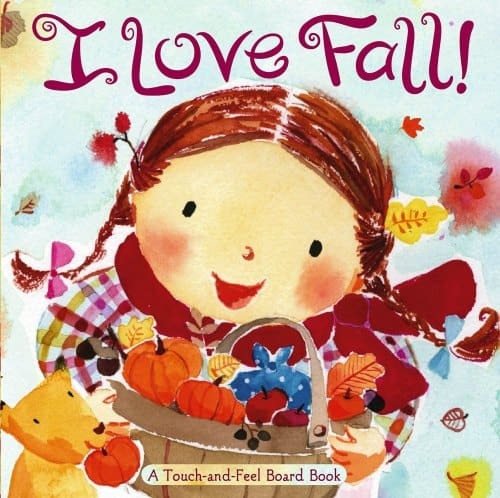 This is another great toddler Fall book that is well loved among early years educators. It’s an easy to follow stories with beautiful images using real photos. This is a great book to inspire nature walks, leaf hunts, leaf painting, Fall sensory bins and so much more. A really lovely book that I think will become a family favorite. 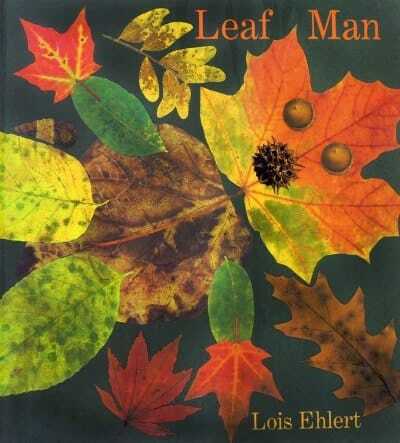 You can get Leaf Man HERE on Amazon. 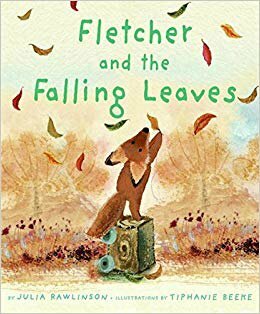 This is a lovely story about Fletcher who worries that something is terribly wrong when the leaves begin falling from his favorite tree. 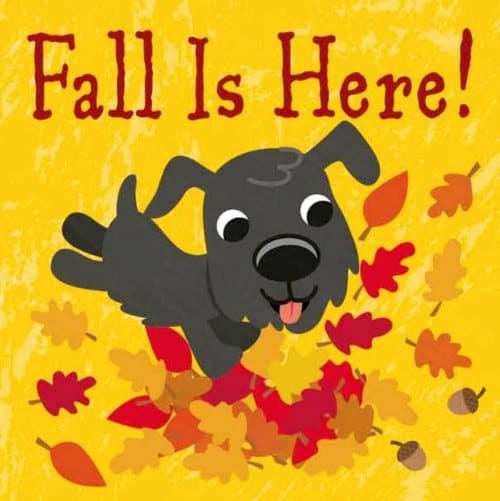 It’s a great book to explore the seasons and one that is great for ages 2 and up. You can get Fletcher and the Falling Leaves HERE on Amazon. 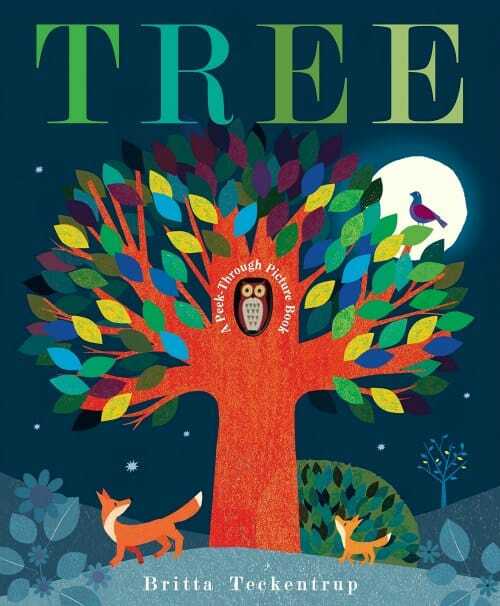 TREE is actually about all of the seasons but is a beautiful peek through book that shows how the seasons change. It’s another one that is beautifully illustrated and made the New York Library’s list of the best new children’s books when it was released. Get TREE now from Amazon. This is a nice simple story in a board book format (perfect for the younger toddlers). This one is quick and easy to read which works well for those with the shorter attention spans! You can get this book HERE on Amazon. This is a fun book that transforms with each page turn. Watch as bear goes through an explores all the Fall adventures. It’s short and sweet, lovely pictures and fun rhyming (rhyme is what you want in a children’s book!). 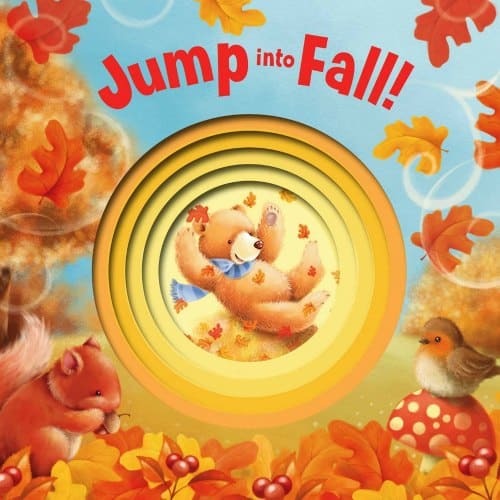 Get Jump into Fall HERE on Amazon. This book is part of the New York Time’s best selling Mouse series of books so it’s only fitting that we add this one to the list. This is a simple story which explains the colors, shapes and sounds of Fall. A fun little board book that I’m sure you’ll love. 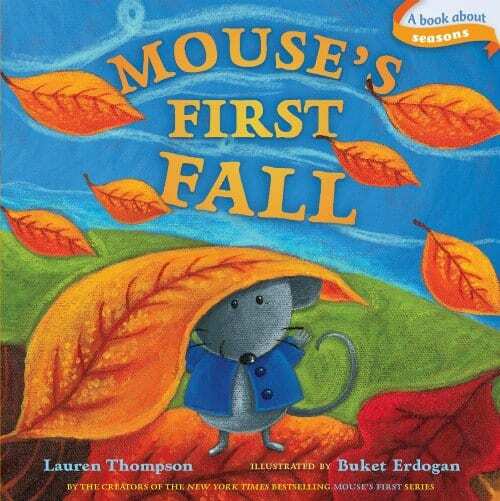 You can get Mouse’s First Fall HERE on Amazon. This is another great toddler board book full of textures. Toddlers always love touching these kinds of books and it’s great to add an additional sensory element to your stories. You can get I Love Fall HERE on Amazon. If you’ve got another Fall toddler book that you love, let us know in our Facebook group. You can also subscribe to our weekly newsletter and follow us on Facebook, Twitter , Pinterest and Instagram.